In the UAE getting into shape can be a tough business especially if you are one of those people with a busy life who has a lot to deal with every day. When it comes to leading a fitter, healthier lifestyle you have two choices, however; to do it on your own or hire a personal trainer in the UAE. Exercising on your own can be a lonely affair that can get you frustrated easily – lack of results and not knowing how to exercise correctly are contributing factors. Many people who have gone through this can testify to how their motivation fluctuates and how they always find themselves going back to square one. A certified male or female personal trainer in Dubai, Abu Dhabi or Sharjah is the best way to get yourself into shape. They push you to follow instructions, help you to set health and fitness goals, take part in exercise programs with you, offer a diet and nutritional guide, and help you succeed. What Does A Personal Trainer In The UAE Do? Personal trainers are male and female professionals who have the knowledge and expertise to help you achieve your physical training and exercise goals. They know everything it takes for you to succeed and have the ability to implement a process specially designed for you. A personal trainer in Dubai doesn’t just get you on your feet and push you to start exercising. They are equipped with the right knowledge to set up a strategic plan that will fit into your schedule so you can achieve the best results. They also take part in your Dubai, Abu Dhabi and Sharjah personal training at home sessions, showing you how things are done – correctly. They assess your performance, give you feedback through regular monitoring of your progress, and help you keep going even when you’re losing motivation and focus. People hire trainers for different reasons. 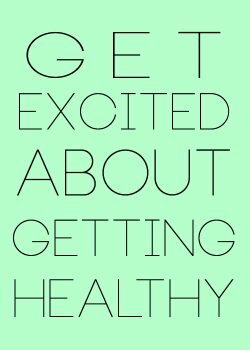 If you are considering doing so, you have made a great lifestyle change decision. This move marks the beginning of your journey into a lifestyle of happiness, good health, fitness and freedom. Achieve your personal fitness goals – Do you want to lose belly fat? Did you just deliver a baby and you can’t wait to drop the pregnancy fat and reclaim your attractive figure? A UAE personal trainer helps you hone your focus on your goals and achieve it with less effort and less time. Personal trainers in the UAE understand your body more than you and know what part of your body to attack. 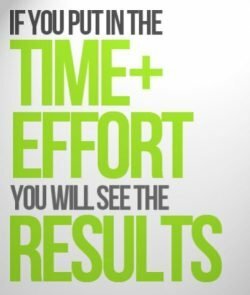 Proper exercise programs – After setting your goals the next thing is to know how to achieve it. You might be thinking I could do with losing some weight or perhaps you have always tried to get a sixpack. Your trainer will design a proper exercise regime for you, based on your body composition, health issues, heart condition, and physical performance. Higher workout intensity – It can be hard to push those dumbbells, carry those weights, or beat that press up limit all by yourself. Male and female personal trainers in the UAE know what your body needs to improve and they will stop at nothing to make sure you attain the desired workout intensity. A female personal trainer in Dubai and Abu Dhabi can help women achieve increase perceived exertion during exercise. Motivation – Don’t deceive yourself, carrying heavy loads during physical training isn’t like sitting down on the couch and watching movies, with a bottle of soda and a bucket of popcorn. You need motivation and the right one for that matter, and the only one that can do that is a personal trainer. Proper motivation is enough to get you started, and when you get used to it, it will be with you for life. Personal trainers don’t just shout at you to get off your backside, they encourage you too – helping you push yourself that little bit more during every training session. Diet and Nutrition – Not all personal trainers are expert nutritionists, but they have an idea of what you should and what you shouldn’t eat. Diet remains one of the most significant issues, especially for people in the UAE trying to lose weight. Eating the right food is essential for the adequate supply of energy and that will get your body going all the time. Accountability – When you train at home in Dubai you are not accountable to anyone. But when you have an at home personal trainer in Dubai, you are forced to subject yourself to him/her, if not for anything else but to justify the bills. The trainer will ensure that you don’t give excuses and that you stick with the program designed for you. Your success is good for their personal training business, and they will do everything to make sure that you comply and succeed. There are many personal trainers out there, offering the same kind of services. So, before you hire anyone for your training at home, here are things you should consider. Check for the credentials. Make sure your trainer has all the certifications, licenses, and permits to work on your body. Know how many years of experience they have. The more time they have spent doing this, the better for you. Read reviews. Trainers listed on the UAE Personal Trainers website all have a reviews section. Your personality matters in your physical training. Have a conversation with your trainer about what motivates you to ensure they will be able to deliver. How much does the trainer cost? Find out what each personal trainer price is. Trainer experience and qualifications all have an impact on the price of a personal trainer in Dubai, Abu Dhabi or Sharjah. Location is very important. Make up your mind on where the training will be taking place and prepare for it. Many male and female personal trainers are mobile. They can provide your personal training at home in Dubai, Abu Dhabi or Sharjah. You could also use a gym or even train outdoors. Mention any special needs you might have. Your trainer must be aware of any particular medical condition or emotional stress you’re going through. Doing physical exercise at home in Dubai will save you money and give you the freedom to do whatever you like, but in most cases, it only leads to frustration and lack of results. When you hire a professional personal trainer, you become more accountable, but when you do it yourself, you don’t care if you missed a training day. This can make you lazy and frustrated, eventually. Personal trainers offer services that help people achieve their training, exercise and lifestyle goals, lose weight, and live a healthier and happier lifestyle. Make sure you find a trainer that is certified, experienced, and qualified and has the mental, psychological, and emotional capacity to help you excel. The UAE Personal Trainers websites takes your health and fitness goals seriously. We only list professional and legal personal trainers on the website who can provide you with the professional results you deserve. Click the link below if you need to find a male or female personal training for individual and group training in Dubai, Abu Dhabi or Sharjah.